I am still playing with my blends and the petal Passion designer series papers and making cards with the pieces. So much fun! No two pieces are the same and that give me great variety for matching colours. 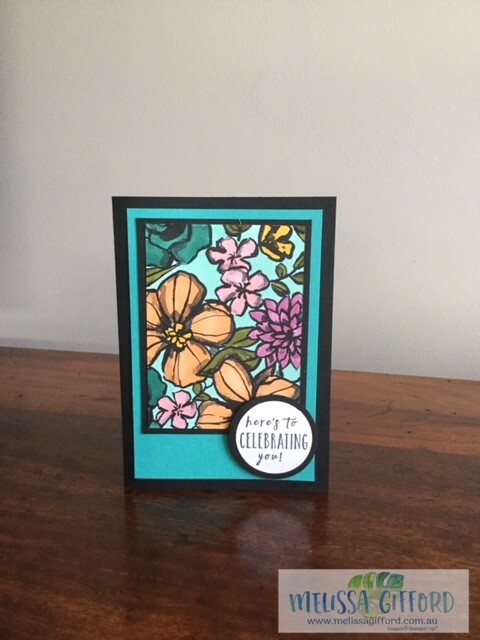 For this card I experimented with using the blends to colour in the white background of the Petal Passion paper then mounted it onto black and bermuda bay cardstock. This gives it a darker and quite different look. 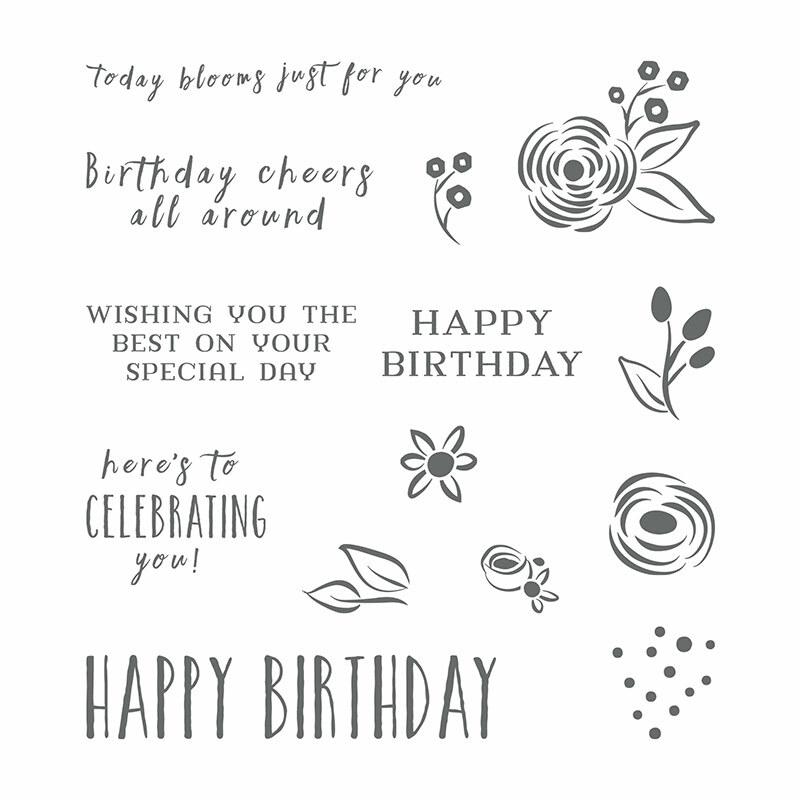 The sentiment comes from Perennial Birthday - a beautiful set of flowers, leaves and sentiments. I love all the different fonts in this set. I stamped the sentiment in memento tuxedo black then used my circle punches to layer the white onto the basic black and use dimensionals to give it some height. You could use any colouring medium to achieve a similar look - blends, watercolour pencils, stampin marker or even create a watercolour wash look with your inkpad and aqua painter pens. Have a play and experiment with colours and techniques - it's heaps of fun!